Fix blurry photos in 1 click. 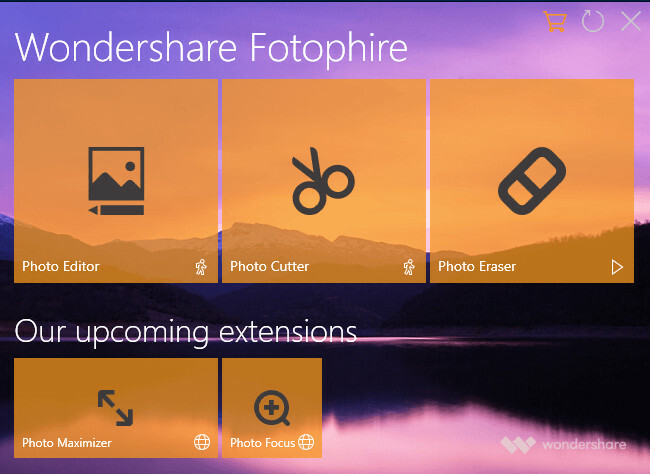 Refocus pictures at your will in few clicks. Apply marvelous effects to your photos. Sharpen photos to make them clear and crisp. Clicking photographs and sharing those memorable moments on Social Media Platforms is what people love to do these days. Smartphone availability and its high definition picture quality enable you to empower creativity through photos. Do you think you get the same quality and feel which you felt in those real moments, where you have clicked the photograph? Certainly not, as you might have the high definition cameras, but still issues like blurriness, improper focus, and unwanted things bother in your clicked memories. To overcome such problems, Photo Fixer blurry tools can be of great help. 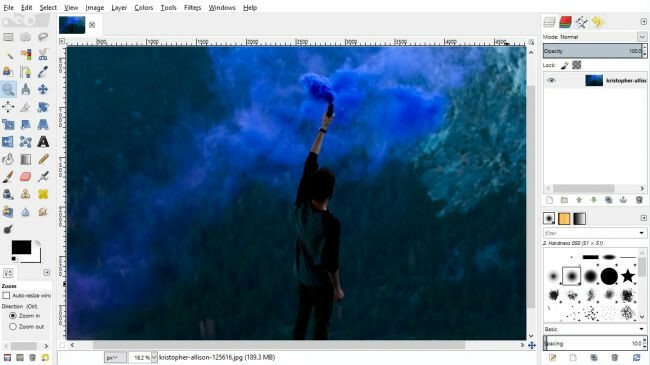 These tools come with added features, which enable you with editing, cutting, erasing, maximizing and creating special effects in your photographs. Some tools are so awesome that just in a single click they create the magic in just a single click. The list of such tools are never ending and the features they provide can only be judged with a fair comparison. Here, in this article, we have prepared the list of most helpful blurry photo fixer software in 2018 which will assist you in choosing the best. • Fix blurry photos in one click. • Refocus photos wwith ease. • Apply various kinds of effects to photos. Adobe Photoshop is a well-known name in Photo editing. 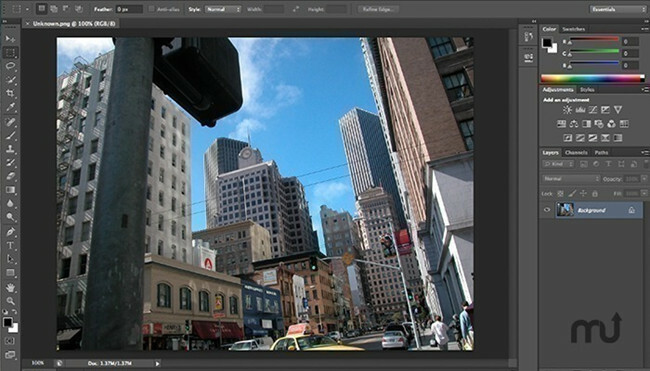 This is the best photo fixer editor with a wide range of inbuilt tools and additive features, Adobe Photoshop CC. With this tool, you can perform amazing functionalities to improve your picture quality and more importantly make them livelier. It comes with a user responsive interface which means a non technical person can use it to make the picture look professional. From basic customization like cropping editing rotating or flipping, you can do corrections, create borders etc. • Making a collage of your favorite pictures is now easy with this tool. •	You can pop up the image colors and change the layouts giving it a professional tone. •	This tool allows you to share your picture directly with the social media platforms and also provides watermarking on the clicked memory. GIMP is a free open source image editing tool desinged for Windows, Mac, and Linux operating system. Getting engaging with this tool, you can perform various operations on image from blur fixing to the advance photo editing. You will find a wide range of features in this tool that helps you in image editing. •	The interface of this tool is very clean and easy to understand. •	There is no extraordinary computer skill is required to use this tool. •	One of the main reasons for using this tool is that it is completely free of cost. Luminar is a one of the leading photo editing tool designed for Windows and Mac operating system. It is coded with advance algorithm that makes it easier to use, unlike other tools. If your computer is running on Windows then, this is a great tool for you. Using Skylum Luminar, one can make aerial photos, landscape photos, and many other things. You can download it from their official website at reasonable prices. •	It is equipped with a wide range of features that makes it better than other leading photo editing tools. 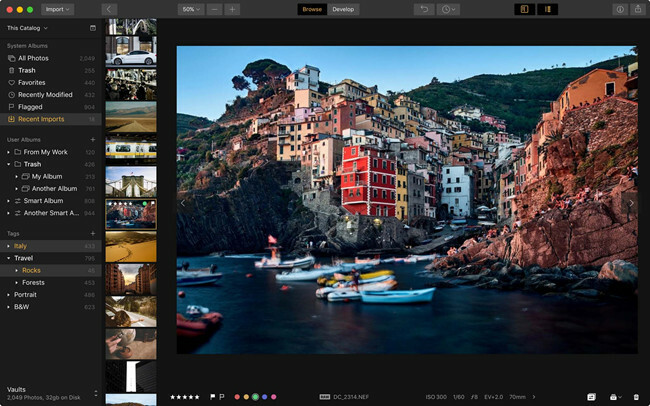 •	Fixing blur photos with Luminar is very easy using its advanced tools. 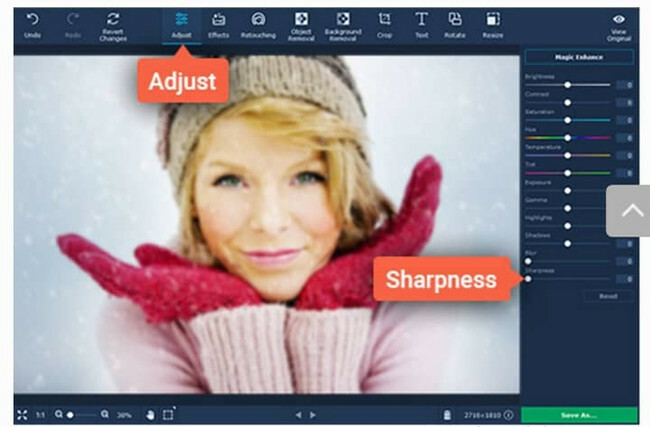 Movavi Photos Editor is a photo editing tools that is designed for Windows and Mac operating system. In this powerful photo editing tool, you will find lots of tools that aid you in fixing blur photos. It is not limited to fix blur photos only, you can also do perform various operations of photos. 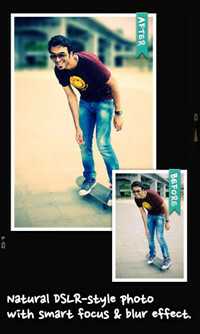 •	Engaging with Movavi photo editor, you can add effects, crop, flip, and do many other things on the image. •	Removing blur from the image is very easier as compared to its counterpart. Smart Deblur is sophisticated Blurry photo fixer editor with an array of features that make it better than others. It is very easy to use due to its clean and user-friendly interface. Simply, add the image and perform operations as per your needs. •	It has automatic shake analysis algorithm that recovers the lost detail from the blurry image and gives you clean image in return. 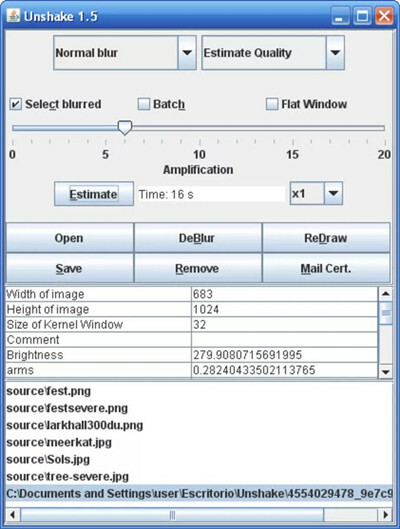 •	Smart Deblur have a smart analysis tool that removes the artificial blur from an image. •	It is designed for both Windows and Mac operating system. There is 2 subscription plan available including Home and PRO. Focus Magic is simple yet powerful Blurry photo fixer editor with plenty of features. This tool has the ability to eliminate motion and out of focus blur from an image in few shots. •	One can also this Blurry photo fixer editor as a photoshop plugin to fix blur photo. 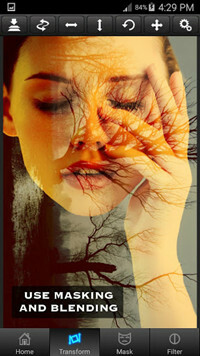 •	You can easily repair the blur photo using this sophisticated tool. •	This tool use advances forensic strength deconvolution technique to repair the blur. Topaz InFocus is another photo fixer editor to fix the blurry images and get sharp images. This tool uses the latest image deconvolution technology to reverse the blurs from images and restore and sharpen the image. •	It can restore color and detail of the image. •	You can use the Micro-contrast tools to enhance the details of the picture. •	Uses advanced Deconvolution technology. •	Allows fixing generic, out of focus, straight motion and other types of blurs. Bluerity is photo fixer blurry tool that can recover any blurry image in some easy steps. it is very simple and easy to use unlike many other leading tools. The process of fixing blur from an image is very simple as compared to other tools. •	You can try its free demo if you want to try this tool. •	Using Bluerity is very easy due to its clean user interface. •	It is light in weight blurry photo fixer editor tool. Unshake is one of the free focus fixers that can help you fix the blurriness of your pictures and get high quality sharp pictures. It is a Java-2 and C program that is only available for Windows that deduces what the picture would have looked like and then fix it accordingly. •	Better results than other focus fixers and editors. •	Doesn’t take much space on the hard drive. •	It removes the blurs automatically. Fix Photo Blur is an amazng tool to fix the blurriness of your photos. 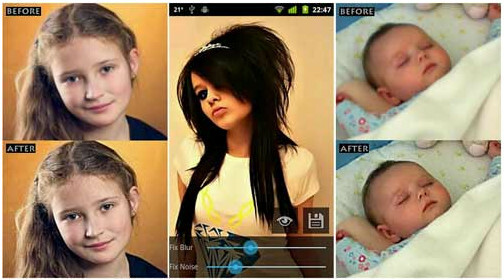 It is among the best blur photo fixers for Android devices. Using Fix Photo Blur, you will be able to fix motion blurs very easily. This photo fixer app use advanced algorithms to determine the blur on photos and automatically fix it. You can easily adjust the sharpness of photos using a slider that offers moderate to high sharpening levels. If you cant afford a DSLR but looking for similar features in your Smartphone, the AfterFocus is best for you. 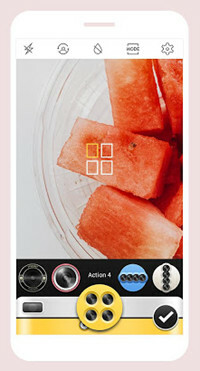 With this app, you are able to apply Lens, capture motion and zoom to a higher level to get the best quality pictures. Also, you can draw the boundaries on the selected portion and use the blur effect to edit your images. Also, in addition, you get a huge variety of effects and filters to beautify your images. But this app comes with ads which might disturb you a little while using it. PicsArt has become the most downloaded Android apps which people use as focus fixers.With this tool, you get amazing options to create blur in the background. Here, you can select from the options like motion, smart or normal blur. Also, you can apply filters, crop your pictures, add text and do other amazing things easily. This tool comes with an added feature as CutOut tool with which you can create custom stickers. But similar to AfterFocus, this tool comes with ads and you need to avail the in-app purchase to use all the options. 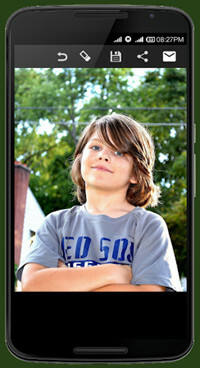 Cymera is a special app with an inbuilt camera that enables you to take the picture and edit it with specialized tools. With its different seven lens feature, you can take pictures in different modes for a better quality. Its blur effect comes only with the basic features which make it little up to the mark. But the huge variety of filters can assist you in beautifying your pictures and making it looks great. With Cymera, you can easily adjust the factors like brightness, the contrast in the very convenient way. If you are heading for an app which gives a professional look to your photos by blurring your background then go for Blurred. With this application, you get the blur effects on your tips and turns your Smartphone into DSLR. You have to just select the area needed to be blurred with your tips and make the changes as you want in the picture. Its special feature makes you able to adjust the blur size and you can easily manage the amount of blur you require. Also, you can remove the unwanted material in your pics. If you want a quick blur effect in your image than with Blur Image you can make these changes instantly. Basically, this app works after you import the picture and will instantly create blur in your image. With its brushing feature, you can easily sharpen the area in your photo and make the remaining part blur. But this tool only provides you with the blurring effect and there are no other features to entertain you with. By using this app you get multiple options for adding a blur effect to your photographs. As per its rating, it is one of the best photo fixer blurry apps on the play store. Even an unprofessional person can use this app to create blur effect in your images. You can completely take over the blur control by adjusting the amount of blur you require in your image. While making changes you won’t like the way it has edited your pic then simply uses the Undo function to get the original image. Also, you can easily post these images directly on the social media apps. Snapseed is an advance photos editing tool that is designed for Android and iOS devices to edit photos in few strokes. 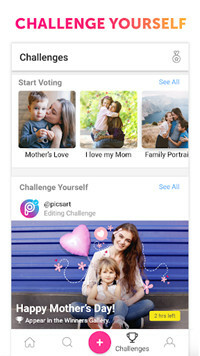 This application is developed by Google to make photos editing experience easier and convenient. There is a wide range of features available in this tool that makes it better than other. 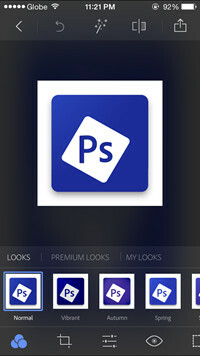 You will find loads of professional tools in this app that are available on the Photoshop. Superimpose is another photos editing application that allow the user to fix the blur with its advance tools. You will find almost every single feature in this tool that is necessary to enhance the photograph. You can download this app from the given link above by spending few bucks. It is available for Android and iOS devices. 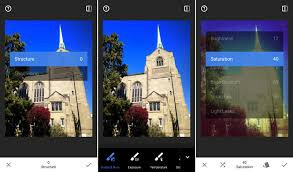 This is mobile photos editing tool designed for devices that are running on Android and iOS operating system. Like its computer software, you will find almost every tool that is available on its computer version. 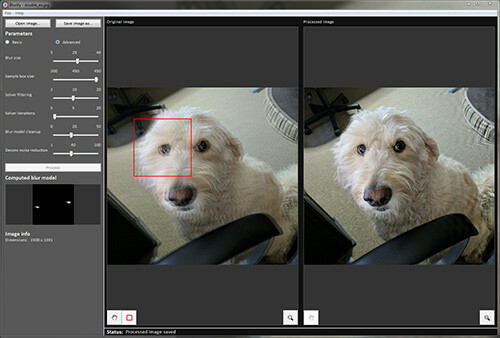 Its blur correction tool enables the user to easily fix the blurry photos by applying some heal. It is not an easy task to capture great shot especially when you have mobile phone camera. Many factors can lead to poor quality images including improper focus, blurriness, and others. No two pictures clicked can be same and if you make a mistake while capturing a once in a lifetime moment, you will regret it later. SO, if you want to repair such photos then, you can try tools like Fotophire Focus that will help you to repair the blurred photo. This is one of the best blurry photo fixer editor on the web. But still, issues like blurriness, improper focus, and unwanted things bother in your clicked memories.